Welcome to the third and final episode of ‘Link Data Advice with Duane Forrester’. If you have made it this far in the series, you would have heard Duane’s thoughts on how to use link data to measure influence in part one and his advice on how you can use link data creatively in part two. 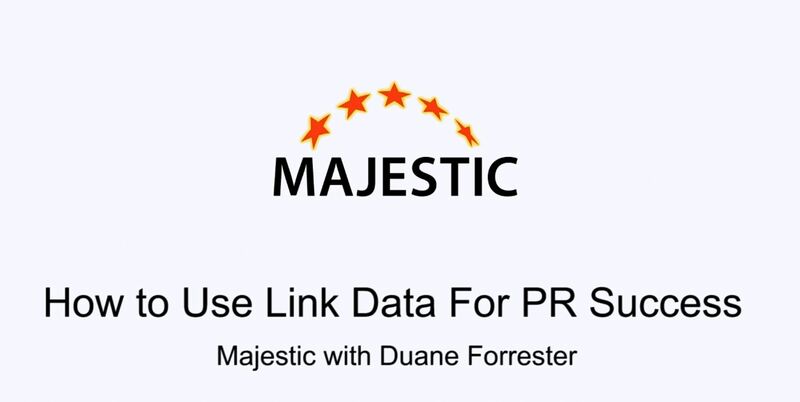 Today, Duane Forrester will be speaking on how link data can be used for PR success. So if you want to find out how you can create a media list using link data, press the play button below. We hope this mini-series has given you some insight into how you can use link data for purposes beyond SEO.